BCM SENSOR bondable resistors (BR) are designed for purposes of the zero adjustment, sensitivity adjustment (or unification), and temperature compensation for zero offset and sensitivity drift (or span), for Wheatstone bridge circuit in transducer application. According to the purpose, there are various metal foils available as option. The constantan foil which has low temperature coefficient is specially for zero and sensitivity adjustment. The balco, nickel and copper which have high temperature coefficient (*) are used for temperature compensation of zero offset and sensitivity drift. (*): TCR (temperature coefficient of resistance) of TCR of nickel is 5500ppm/°C; balco is 4300ppm/°C; TCR of copper is 3900ppm/°C. 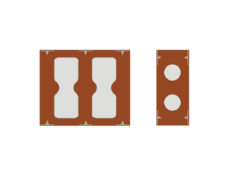 To realize the above-mentioned purposes, there are different resistor patterns available. 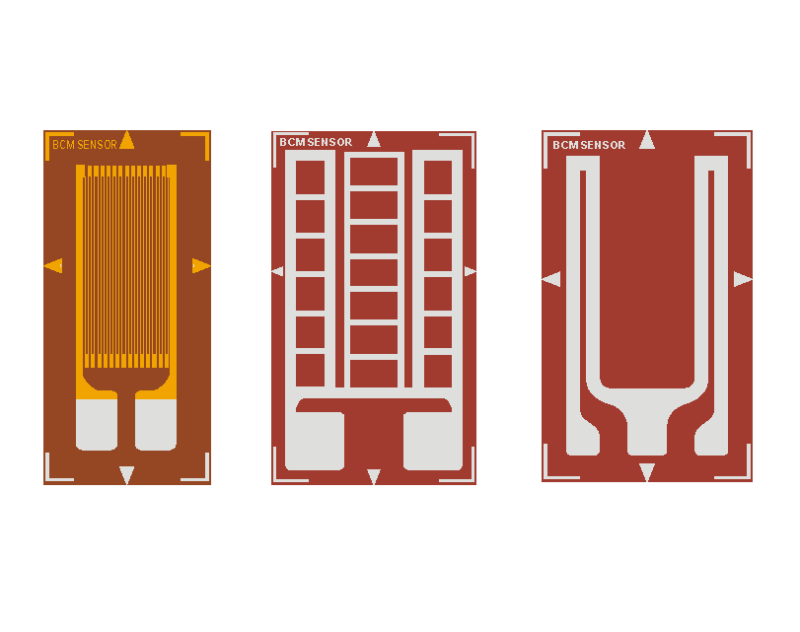 Depending on the pattern design, the way to trim the resistance of the BCR can be distinguished into four categories: cutting (C), fixed (F), rubbing (R), and short circuit (S). For a correct selection of a compensation resistor for your specific application, it is recommended to refer first to Ordering Information and Table to Assist Selection of BR, so that you would have more inside view on the features of the BCR.